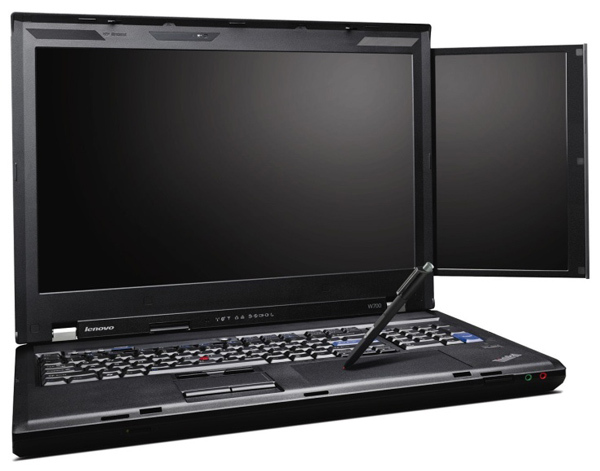 The ThinkPad W700ds appears to be the first laptop ever to sport two LCD screens -- a 17-in. primary and a 10.6-in. secondary screen. 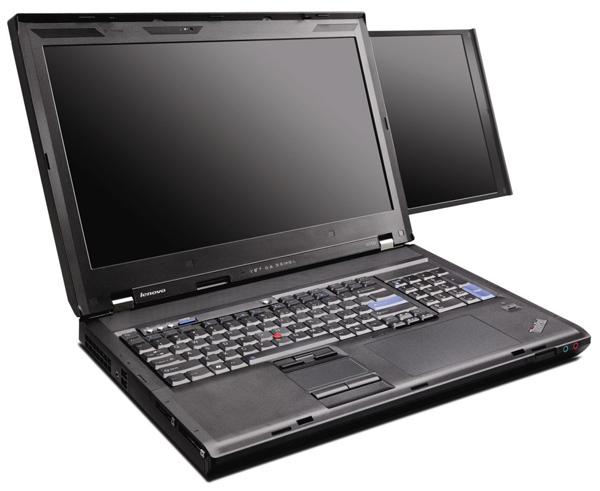 The souped-up "mobile workstation," as Lenovo calls it, also comes with customers` choice of quad-core Intel Core 2 processors and Nvidia Quadro mobile graphics CPU with as many as 128 cores. It also comes with as much as 8GB of DDR3 memory and a pair of hard drive/solid-state drive bays for up to 960GB of storage. It`s all in an 11-lb. brick -- five times the weight of netbooks, such as the Asus Eee 701, and at least double the weight of typical laptops -- that is encased in the ThinkPad`s trademark ebony exterior. The W700ds is expected to be available in January starting at $3,600. 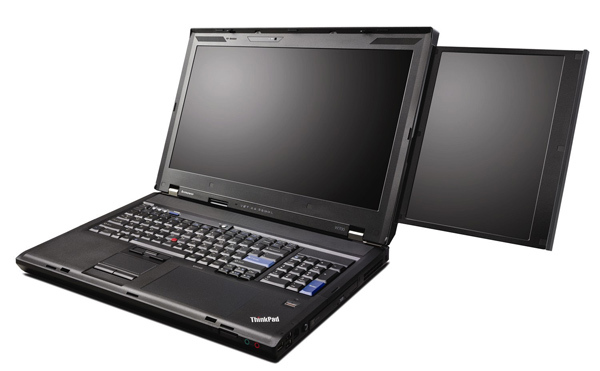 News about the W700ds was originally timed for release the week of the Consumer Electronics Show in early January. But details leaked out on blogs earlier this month after a Web page went live early on IBM`s Web site. hehe, this one will make some mouth watering and your wallets running for cover! Anyway, more pictures after break!